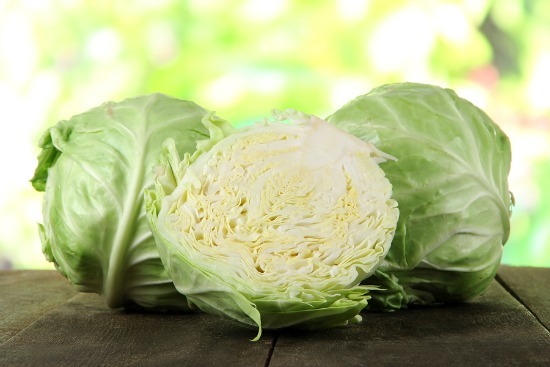 The benefits of cabbage offer weight loss programs an easy way to give higher sources of nutrition while keeping the calorie count at an all time low. That’s why it’s such a popular vegetable when it comes to weight loss. In many parts of the world a head of cabbage and a few onions is considered a staple necessary for lower income families to survive. But one silver lining does exist if this vegetable is your staple and that it provides lots of low calorie nutrition. Any liver loving food that offers lots of antioxidants is always a welcomed addition to any meal at any time of the day. Whether you prefer this cruciferous vegetable cooked, boiled, steamed, fermented or raw, the health benefits of cabbage will shine through. Are extremely important because they reduce the everyday cell damage our bodies encounter from the environment we live in, such as air pollution, toiletries, cleaning products and other chemicals that surround us. We all know that antioxidants help detox the body and help prevent many diseases such as cancer. This vitamin contains antioxidants that strengthen the immune system and helps the body absorb iron which we need in the production of red blood cells and proper levels of oxygen intake. It aslo helps in the production of collagen and elastin which helps keep us looking young. It also helps keep our bones and connective tissue heatlhy and helps prevent cataracts of the eye. Helps keep our bones strong which helps prevent osteoporosis. In a nut shell, Vitamin A is essential for healthy skin, hair, eyes, bones and teeth. This vitamin also enhances the body’s immunity and helps prevent the common cold, flu and infections. Important for cell metabolism, energy production, nerve funtion, helps with red blood production and stress levels (amongst other benefits). Contains minerals such as calcium, iron, magnesium, manganese, phosphorus and zinc. In fact ½ cup of cooked cabbage has roughly 20 – 25 calories and contains no fat. Fiber is important for many reasons such as preventing constipation and keeping a healthy heart diet. And we know the fiber from cabbage is good because it fills you up while containing no fat and minimal calories, so great for weight loss. Alright, now that we have covered cabbage nutrition how can we enjoy this extremely reasonabley priced and super heatlhy vegetable more often in our daily diets? It’s really not that hard to add this veggie to our diets as you can steam it as a side vegetable, add it to practicaly any soup you make, add it to pasta dishes, casseroles, include it in your vegetable juices or make fresh coleslaw salad out of it. Of course there are many more creative dishes to use it in such as cabbage rolls and cabbage stuffed perogies. My two most favorite cabbage dishes that I enjoy regularly are in the links below (the soup & coleslaw). Why are these two recipes so great. Because once you’ve whipped them together they are at your fingertips, ready to go when you are hungry for days to come. I consider these two recipes instant satisfaction and the salad is a nice side that goes well with just about anything. Also check out more homemade soups that you can add this vegetable to. Searching for more information on certain foods and vegetables - then go to the USDA National Agriculture Library for Food and Nutrition Information Center.